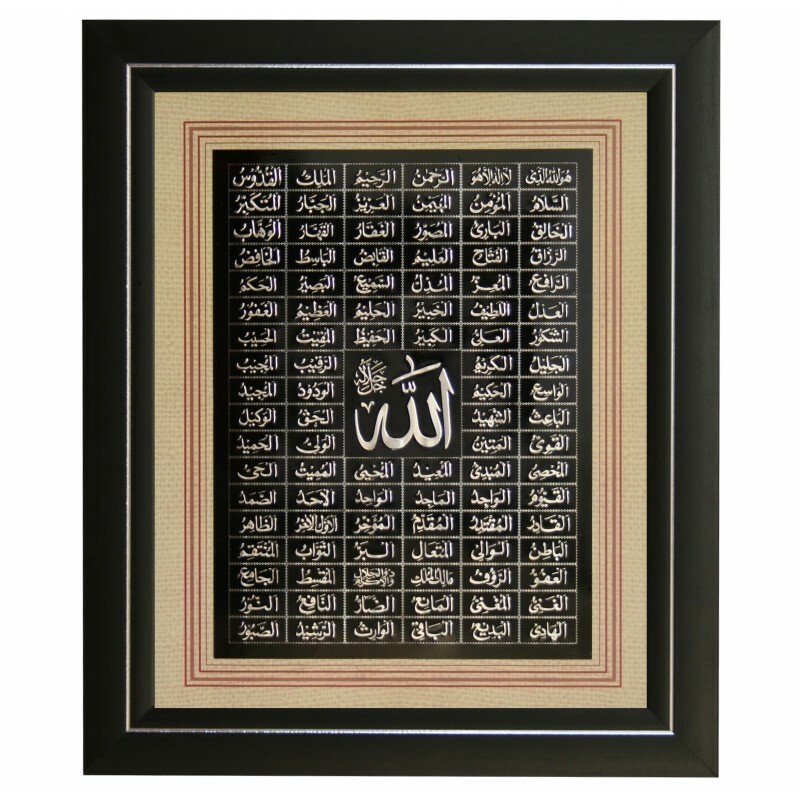 99 Names of Allah - Asma-ul-Husna silver embossed on black metal plate, with cream paper mount. 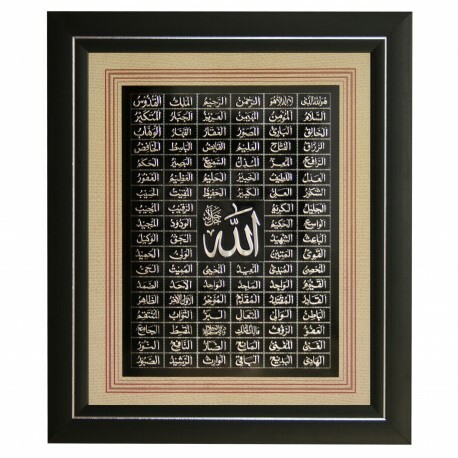 Inside plate is 8x6" (20x15cm approx). The moulding is about one inch wide and half an inch deep. Overall frame is 12x10". Ready to hang.